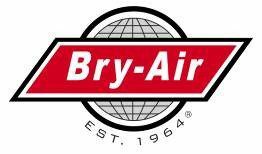 Bry-Air, Inc. environmental control systems allow for consistent control to efficiently prevent the effects of humidity on gel capsules. In the manufacturing of soft gelatin capsules the capsulating process works in the following manner: warm liquid gelatin is spread over a slowly revolving stainless steel drum which is about 24″ in diameter. This drum is exposed to 400 CFM of 57- 59°F air at 20%RH. The cool, dry air congeals the gelatin as the drum rotates so that a tacky, elastic band rolls off of the other end. This thin band is then automatically formed into capsules; filled with medicine, vitamins or other products; sealed; and dropped into a tray. If the air blowing against the drum has too low a temperature, the gelatin will set too rapidly and become brittle which can cause the manufacturing process to grind to a halt. Too high of an air velocity will disturb the consistent thickness of the gelatin ribbon being formed. If the air temperature and humidity are too high, or the air velocity is too low, the gelatin will not solidify into a ribbon. Thus, the need for constant control of the air being introduced to the drum is critical in the process. In order to achieve the controlled air requirement listed above, refrigeration equipment alone becomes uneconomical, impractical and cumbersome to design, operate and maintain. On the other hand desiccant type dehumidifiers combined with refrigeration can offer a simple and economical solution to controlling both temperature and humidity levels as low as necessary. 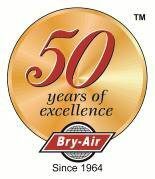 Bry-Air, Inc. desiccant dehumidifiers have been utilized in many capsulating and soft gel manufacturing applications all over the world resulting in millions of dollars saved annually.